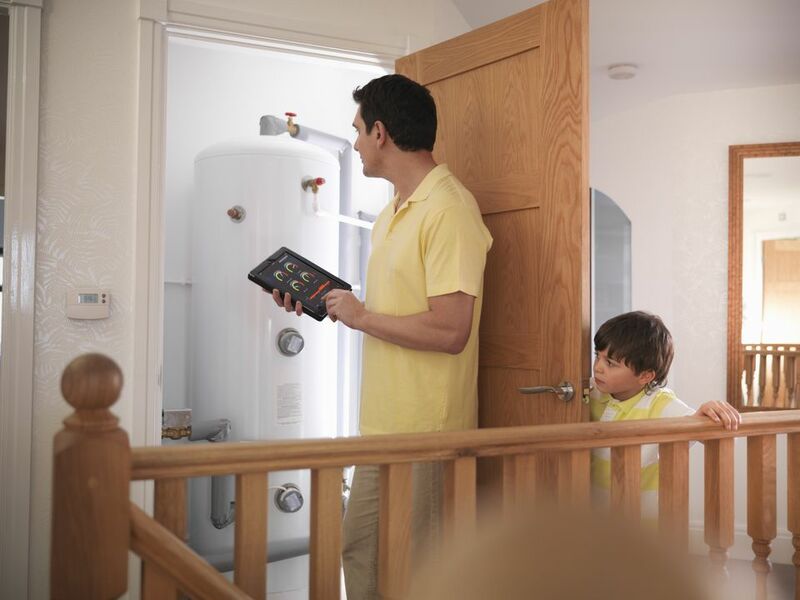 Even if you're not ready to replace your water heater with a new energy efficient model, you can still do things to save water, energy, and cost. Water heaters come in all types and sizes. There are natural gas, propane, oil, electric, tankless and solar models. They all vary in terms of first cost and operating costs. Tankless models provide on-demand hot water but cost 2 to 3 times as much as a standard gas model water heater. No matter what type you have, some things will remain pretty typical in terms of how you can reduce your expenses in operating the water heater. Let's take a look at some money and energy saving tips. When your water heater is not being used it is still storing hot water. And that's when it can lose heat through the walls of the tank if they are not well insulated. This loss is called standby loss since it is heat lost while the heater is standing by for use. It's the same concept as why you use an insulated travel coffee mug. You can save 4% to 9% of your water heating bill and reduce stand by heat loss by 25% to 50% if you have an older water heater just by putting a sweater on it. Older water heaters may not have come with an efficient amount of tank insulation. To see if your tank is a good candidate for a jacket, just touch it. It should not feel warm. If it does then the tank is not well insulated and a good candidate for this easy project. Look for a blanket with an R-5 to R-10 rating. When installing, make sure to cut out areas so you can see safety markings and manufacturer data, thermostats and access covers. Leave a 2" clear cutout around the gas valve and access door to the burner. Let's start with the obvious; if your water heater is leaking it needs to be replaced. You're not going to fix it. Leaky faucets can waste many gallons of water a month. How you repair them depends on the type you have. These tutorials will show you how to repair a cartridge type, a compression washer,​ and a ball type faucet. Pre-1992 showers heads can use a wasteful 6 to 10 gallons per minute (GPM). Current models provide a comfortable shower with only 2.2 GPM. Changing to a low flow shower head is a great and easy way to save hot water. Energy Star rated dishwashers and clothes washers are extremely efficient. It can reduce your clothes washing water consumption by 50% or about 7,000 gallons per year on average. It makes sense that the longer the water stays hot on its way to your shower the less hot water you need, right? Insulated hot water pipes can raise the effective hot water temperature at your showerhead or faucet by 2 F to 4 F over the same water heater setting if the pipes were not insulated. The beauty of this is that you don't need to insulate all the hot water piping but only the first 5 to 10 feet from the water heater. Use insulation specially made for the specific diameter of your pipes. Securely fasten with zip ties or acrylic tape. The pipe insulation and fasteners are all readily available from the hardware store.